Most of seizure, anxiolysis and pain control medications for children are commonly delivered with the intranasal medications delivery, according to Pediatrics online. Other indications which are available for intranasal medications delivery are not reviewed in the article, which is the administration of naloxone narcotic overdose, tube insertion, epistaxis etc. Darren A. Braude, MD, from the University of New Mexico School of Medicine in Albuquerque and Timothy R. Wolfe, MD, from University of Utah School of Medicine in Salt Lake City said intranasal delivery is the unique of this kind and helps to use the resources in a quicker manner more effectively, so it increases patients and health care providers’ satisfaction with the results. Olfactory tissue and nasal mucosa help medications to be rapidly transported by the bloodstream. Another advantage of this method is bloodstream avoiding the liver. This cause the higher availability for a lot of different kinds of medications. Unlike needle injection method, which is most required for formulary medications, intranasal delivery is cheaper, doesn’t need highly trained health care provider specialists, it’s easy to administer, in most cases painless. Needle injections could be really painful, may cause anxiety and need a lot of time, compared with intranasal delivery. Even if not mention those factors, needle injection method could be even dangerous and lead to needle stick injury. There are some specific medications, which can be intranasally delivered: fentanyl for pain control. Patients should be monitored for respiratory depression for about 15 minutes, the common time of the procedure. It can be used, if any other method of delivery didn’t work. Midazolam for anxiolysis and seizures (0.4 to 0.5 mg/kg and 0.2 mg/kg correspondingly). The patient needs to be aware of burning sensation will last for about half a minute. Wound-dressing changes, acute pain, burns, fractures can be treated with intranasal opiates, which are even more effective than intravenous morphine injections just because of the delivery method. Although intranasal midazolam is the most studied drug (in this settings), procedures with light procedure anxiolysis and sedation may be achieved with medications delivered intranasally. Those procedures are magnetic resonance imaging, tomography scans, dental extractions etc. Midazolam, which is delivered intranasally is pretty effective for prolonged seizures, because it easily reaches nasal mucosa without any need to start an intravenous line with the same efficiency. Lorazepam and midazolam, which delivered intranasal way, are also safe for treating seizures outside the health care facility and could be used for epileptics treatment when intravenous access simply not available. 5) The ideal volume of the medication is 0.6 milliliters and shouldn’t be more than 1.0 milliliter; it’s possible to use several doses if the higher volume of medication is needed, but there should be a few minutes break between the procedures. The most common side effect of this method is irritation and sometimes nasal burning when midazolam is used. But those effects don’t occur frequently. Oversedation was reported only after the high volume of sufentanil used intranasally during a surgery. Authors of Pediatrics online review told, that the intranasal method is effective when it comes to delivery of anticonvulsants, anxiolysis and delivering analgesia to children. When it used for specific, properly selected patient, the method could reduce the time before the medication will affect, eliminate any risk related to needle injections, reduce material stuff used during the injection, and the huge advantage of the method- it’s totally not painful. “Every health care provider, who works with children, like pediatric emergency physicians and pediatric specialists should consider this method fitting to their practice setting,” added Braude and Wolfe. 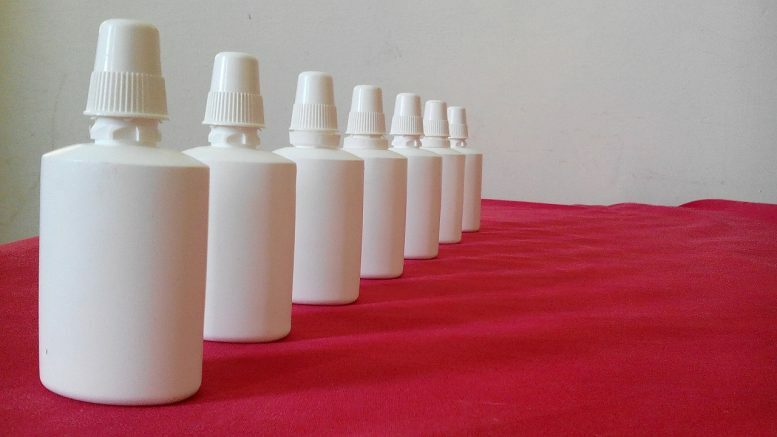 Be the first to comment on "Children Intranasal Medication Delivery"